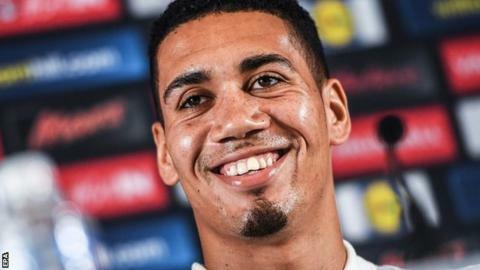 Defender Chris Smalling says he is fully fit for England's Euro 2016 opener against Russia despite leaving Tuesday's training session with an ice pack on his left knee. The 26-year-old said his knee was "normal" and the treatment was part of his usual routine. "I often ice different parts of my body or jump in an ice bath. It's just normal recovery process," he said. Manchester United centre-back Smalling is expected to start in Roy Hodgson's side alongside Chelsea's Gary Cahill or Everton's John Stones.